Hélyette Geman is a Professor of Mathematical Finance at Birkbeck, University of London where she is the Director of the Commodity Finance Centre and Research Professor at Johns Hopkins University. She is a graduate of Ecole Normale Superieure in Mathematics, holds a Masters degree in Theoretical Physics and a PhD in Probability from the University Pierre et Marie Curie and a PhD in Finance from the University Pantheon Sorbonne. In 1993, she became ‘Professeur Agrege des Universites’ in Management and Juridicial Sciences. 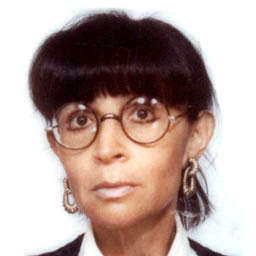 From 1988 to 1995, Hélyette Geman was Chair of the Finance Department at ESSEC Business School; from 1995 to 2005, she was the Director of the Masters program ‘Security Markets, Commodity Markets and Risk Management’ at the University Paris Dauphine, where she supervised many PhD students, including Nassim Taleb. For the past 21 years, Professor Geman has consulted major banks, energy and mining companies as well as commodity houses, covering the spectrum of interest rates, catastrophic risk, crude oil and electricity, metals and agriculturals. She was previously the Head of Research at Caisse des Depots in Paris. Professor Geman was the first president of the Bachelier Finance Society and has published more than 140 papers in top international finance and insurance Journals including the Journal of Finance, Mathematical Finance, Geneva Papers on Insurance, Journal of Financial Economics. She was named in 1993 Member of Honor of the French Society of Actuaries. Professor Geman’s research includes interest rates and catastrophic insurance, asset price and commodity forward curve modeling, valuation of physical assets in the commodity industry, as well as exotic option pricing for which she won the first prize of the Merrill Lynch Awards in 1995. Her pioneer work on extreme events and CAT bonds received in 1994 the first Prize of the AFIR (Actuarial Approach to Financial Risk) awards. Prof Geman was named in 2004 in the Hall of Fame of Energy Risk and received in July 2008 the medal for Sciences of the Institute for Advanced Studies of the Alma Mater University of Bologna for the CGMY model, a pure jump Levy process widely used in finance since 2002 and in insurance since 2004. Her book Commodities and Commodity Derivatives: Energy, Metals and Agriculturals published by Wiley Finance in January 2005 has become the reference book in the field. She edited in 2008 the book Risk Management in Commodity Markets: from Shipping to Agriculturals and Energy and was in 2010 the first Wilmar-International Invited Professor of Commodities Business at Singapore Management University. Professor Geman is a Member of the Board of the UBS-Bloomberg Commodity Index. Professor Geman counts many brilliant characters among her past and present PhD students, among them Nassim Taleb, author of The Black Swan.